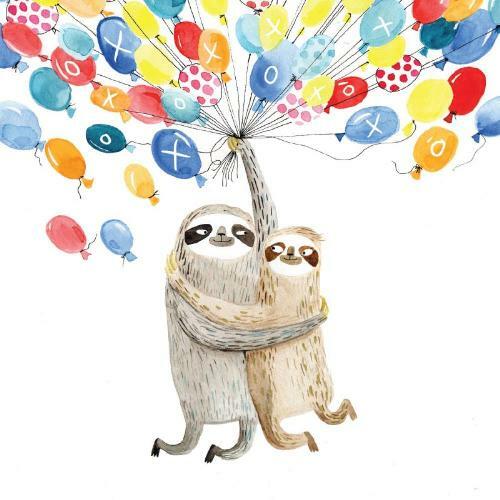 Adorable sloths illustrated by Surfing Sloth. 14 x 14 cm greeting card with illustrations inside and out. Includes a kraft envelope.